The Android blob lives! Kind of. 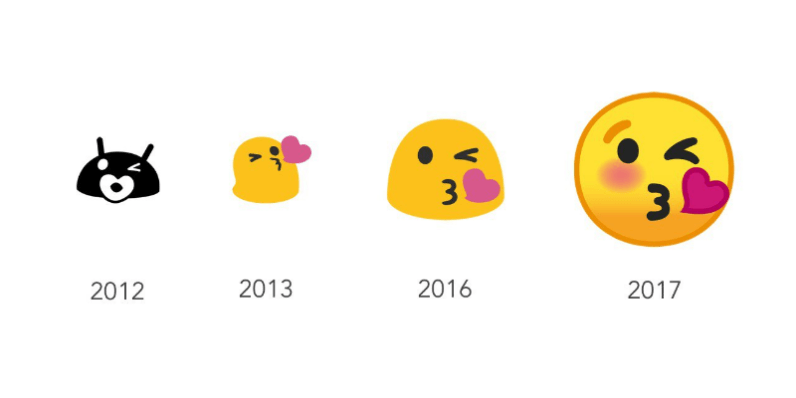 For those not in the know, Android O is replacing Google’s classic blob emoji with more generic-looking emoji. A lot of people are not happy about that. Google is well aware, so today – in honor of World Emoji Day *sighs* – it’s bringing back the blobs in a sticker pack for the seven people that still use Allo. Of course, making the choice to abandon the blob wasn’t easy for Google either – after all, it’s the one that had to let go. So Google shared its breakup letter, apparently written while listening to a sad love songs playlist after copious amounts of alcohol. I see it all now that you’re gone. Now, you lost that blobbin’ feeling. Blobversation has run dry—that’s what’s going on. Oh Blobbie, I couldn’t have tried anymore. Blame it on the blob. Although we’ve come to the end of the blob, I want you to know you couldn’t have loved me blobber. I’ve had the blob of my life… you’ll always be my Blobby. They’re cute stickers, but go home Google, you’re drunk.